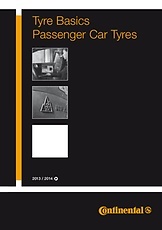 There are a number of considerations when buying tyres but lets start with some of the key points. The first is what size is my tyre? This can be found on the tyre's sidewall information and will look something like 205/55R16. The next important consideration is the tyre's service description .This consists of two important pieces of information which indicates the tyre's maximum load and speed capability. This can be found on the tyre's sidewall usually directly after the size information, and consist of a number and letter. To determine the actual load and speed capability figures then refer to industry tables. There is also a many more other information on the sidewall of the tyre such as the tyre manufacturer, pattern type and tread wear indicators.